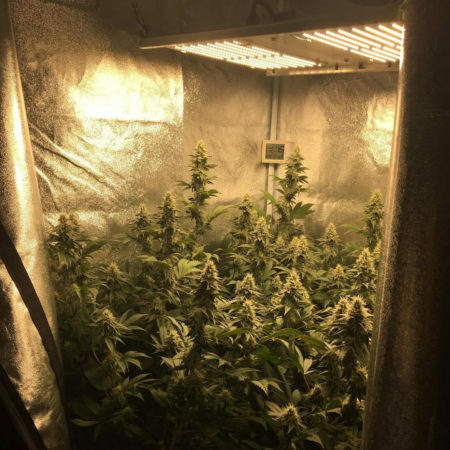 How Far to Keep from Plants: 20-28″ for the vegetative stage. 18-20″ away in the flowering stage. LEDs are the newest addition to the cannabis grow light lineup (though at this point they’ve been around for years). LEDs seem to be the direction that grow lighting is headed in general. Aside from the allure of their newer technology, they are great at growing cannabis and they last a very long time compared to some other grow lights. In fact, the ones we recommend can last 100,000 hours; that’s over 14 years if you harvested every 3 months! 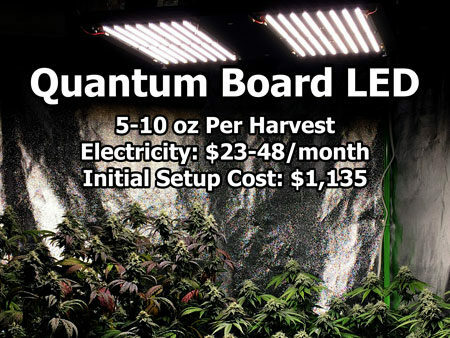 HLG first coined the term “Quantum Board” for an LED grow light with the diodes spread out over a large area (on a board). They also have changed the light spectrum from the old-fashioned “blurple” color to something that’s more full spectrum, with higher amounts of red/yellow to promote flowering. 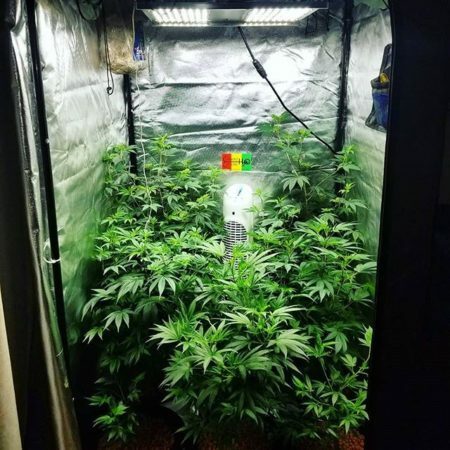 These newly improved “board-style” LED grow lights were released and became popular almost overnight. 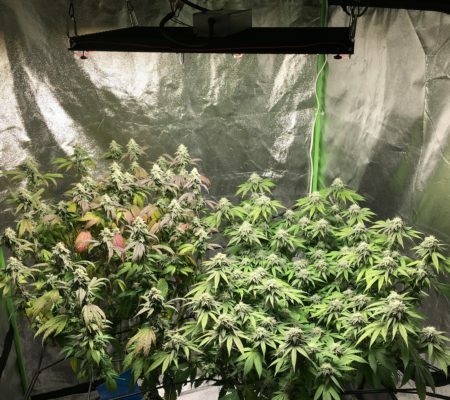 Growers are reporting yields that often beat other types of LED grow lights. We feel it’s too early to call a winner just yet, but it’s undeniable these are some of the best LED grow lights available today (with a price tag to match)! 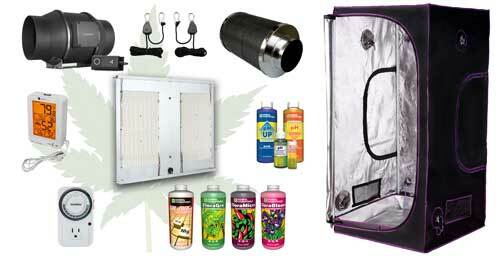 You may not need an exhaust fan for cooling in this setup, but if you don’t have an exhaust fan you can’t use a carbon filter, which means you won’t have a great way to prevent smells from leaking outside your grow space.